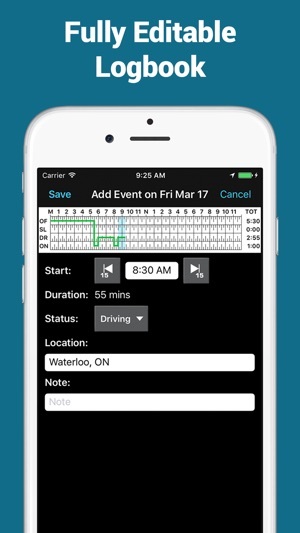 BigRoad is the #1 electronic logging device and electronic logbook for owner-operators, drivers, and fleets on iPad and iPhone! 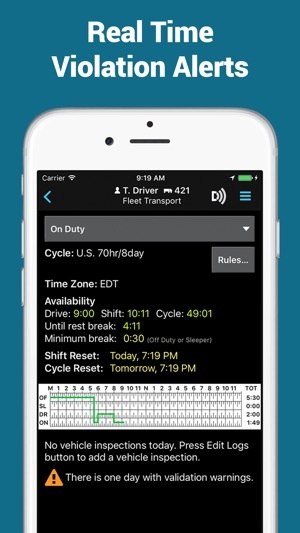 Easily track your hours-of-service and create ELD mandate compliant logs with our DashLink ELD. Compliant with current FMCSA and DOT rules and regulations. Named the #1 electronic logging device in North America! Track your HOS within a few taps. Different US and Canadian rule sets supported. Easily edit logbook. See how much drive time you have left in a glance. No more estimating and guessing - BigRoad calculates your time for you. Proactive notification of errors and violations help you run in compliance to avoid costly fines and out-of-service time. Correct errors before they’re caught during an inspection. 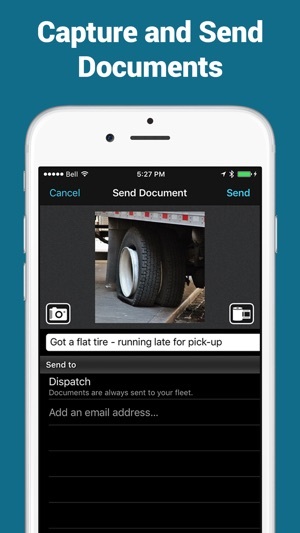 Easily send your fleet manager your logs and vehicle inspection reports. 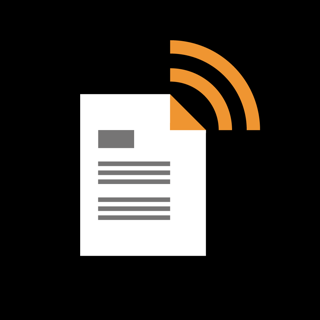 Capture and send supporting documents within the app. Displays a clean, easy-to-read eLog for inspectors. Stores logs and supporting documents in one location. Display, print, email, or fax driver logs to inspector. 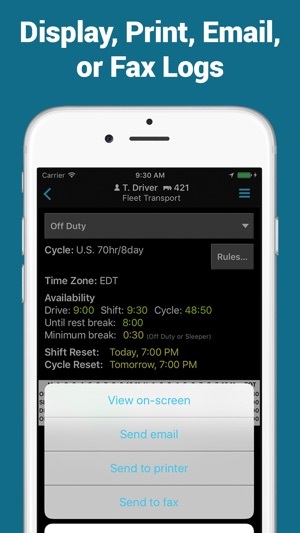 The BigRoad Mobile App is compatible with current FMCSA and DOT rules and regulations. 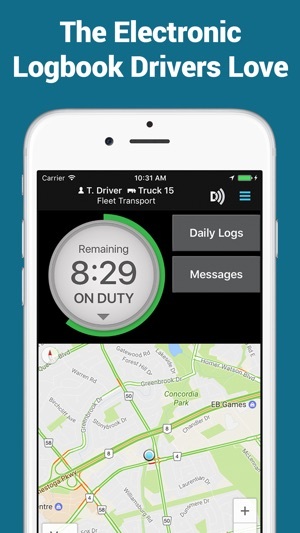 Pair it with BigRoad’s FMCSA-certified DashLink ELD to comply with the US ELD mandate. Learn more at www.bigroad.com. We recommend keeping your phone or tablet plugged into a charger for the best GPS coverage. If the battery is low, the app will check GPS location less often. The BigRoad app asks for access to your contacts and phone so you can easily send check-in messages, documents, and copies of your log using your contact manager. We do not copy or store any of your contact information. Does exactly as I need it to do. Easy to understand and use. Hi Shrub Jumper! We appreciate your five-star review. Your feedback is valuable to the improvements we make day in and day out. Thank you for taking the time to provide insight to your experience. Oh no! What's going on, Ko orgeat? Please give us a call at 1-888-305-8777 ext. 1 or send an email to support@bigroad.com so we can assist you. We want to ensure you are receiving the best BigRoad experience possible, so please do reach out!